No need to drill holes in your Predator! Just use the Old Town Predator Accessory Plate Kit. 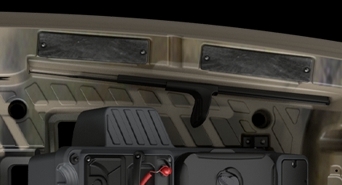 Drill the plates, not the hull, and then screw the plates onto any of the 6 possible locations on the gunwales of your Predator. You can swap and move the plates around to suit your needs. 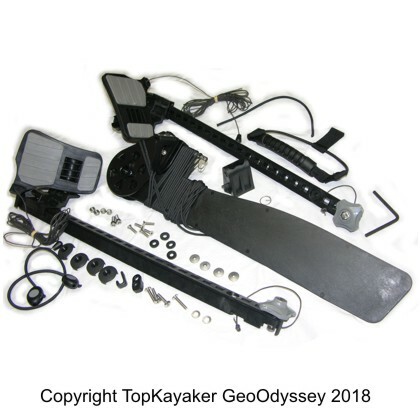 The Accessory Plate Kit can be used as replacement parts if needed. Mount rod holders, fish finders, camera stands, cup holder, paddle clips, any of your favorite brands, such as Scotty. 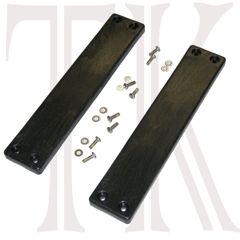 Each kit comes with: two mounting plates, screws and washers plus instructions.